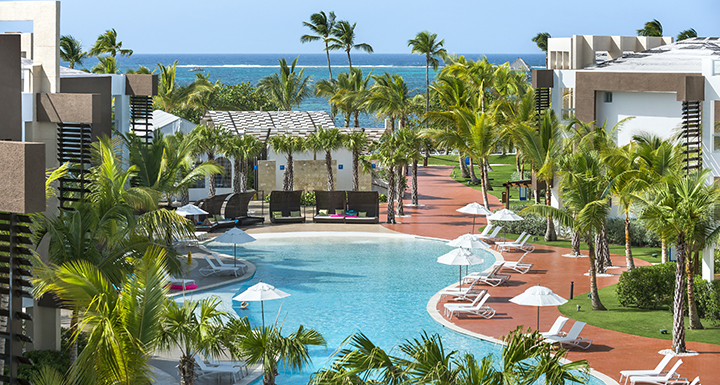 Punta Cana, Dominican Republic.- BlueBay Hotels, the eighth Spanish hotel company by international presence and the 10th largest hotel group regarding hotel rooms, has added the Hotel BlueBay Grand Punta Cana(*****) to its portfolio of hotels in the Dominican Republic. The Spanish company already had two establishments in the Dominican Republic: BlueBay Villas Doradas (****) and Bellevue Dominican Bay (****). BlueBay Grand Punta Cana has 156 luxury suites and is located in the eastern part of the island, one of the most popular tourist regions in the Caribbean due to its beautiful natural environment. The Spanish hotel chain continues to strengthen its presence in the Caribbean with this new addition to its portfolio, where, it also has the Blue Diamond Boutique Hotel (5* Grand Luxury) and the BlueBay Grand Esmeralda (5*), in the Riviera Maya. “We know the Dominican Republic because we already have two hotels there, although the opening of a new hotel in Punta Cana, which is one of the most popular destinations in the area for tourists, means strengthening and complementing our offer in sun and beach tourism by incorporating this five-star hotel,” says Jamal Satli Iglesias, Chairman of BlueBay Hotels.